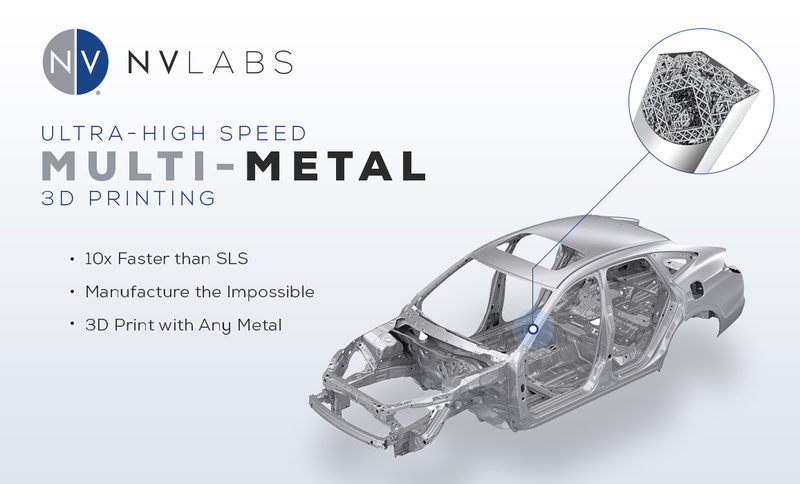 NVBOTS, the Boston-based 3D printing startup, has developed a new method of 3D printing metal parts that can use 21 different metals in the same job. The company says the technology is the only one of its kind. 3D printing metal isn’t easy. You have to have just the right amount of heat required to melt the materials. The way metals conduct heat just further complicates the traditional 3D printing process, which relies on building structurally sound parts layer by layer. Perez says the new method, which uses electricity to melt metal wire, can be thought of as a high-precision form of welding. The precision comes from a proprietary method of controlling the amount of heat used to produce every single 3-D pixel of a printed part. That provides a level of control over the final quality of the part that is not possible with other techniques, he says. The technology is still in the development stage. Currently, it can only be used to make small parts. However, Perez says that for anyone looking to make small, high-value stainless-steel and titanium parts, the technology is already a cheaper and more versatile alternative to casting, a common industrial metalworking technique. If production can be scaled up, it could replace casting work done in a variety of industries including auto manufacturing, aerospace, luxury goods, and oil and gas. Using additive manufacturing to inexpensively make a wide variety of reliable parts out of metal would be a boon for many industries, since it would eliminate the cost of building the tools needed to manufacture new and unique parts by conventional means. The longer-term promise is the ability to print parts with unique properties that “you wouldn’t be able to manufacture any other way,” says Perez. Possible applications include structural parts for things like car or airplane bodies, as well as components of engines, electrical devices, or other machines. Later this year NVBOTS will launch a program through which industrial partners can participate in research and development aimed at refining the process and further developing the materials palette.